Whether you are renovating your home or business, our professional builders are on hand to help you get a great result. As a multi-trade company, we have everything you need under one roof, from builders and joiners to plumbers and electricians. We will assist you every step of the way, including design and planning, production, installation, construction and those important finishing touches. Nothing is too much for our team, who will work closely with you to deliver the right result on time and on budget. Is your home or business running out of space? Save yourself the inconvenience and cost of having to move and get the space you need with an extension tailored to you. 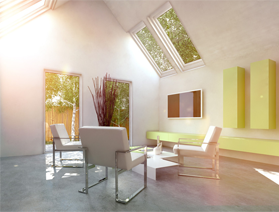 Having an extension can also help to add value to your property. Whether you want a subtle extension to blend in with your existing property or you want to make a statement we can help you get the design and space you want.